Oft-overlooked Malawi boasts a rich variety of bird-life and mammals – including the big five. As with most African countries population pressures have restricted game to national parks and game reserves, and whilst not as popular as it’s large East and Southern African neighbors, Malawi still offers comparable game viewing. The best time of the year for visiting national parks in Malawi is between August and November in dry season. From January to March during the rainy season, some parks are closed or impractical to visit without a four wheel drive vehicle. To find out a little more about organised safari tours in Malawi read our list of recommended safari tour companies in Malawi. 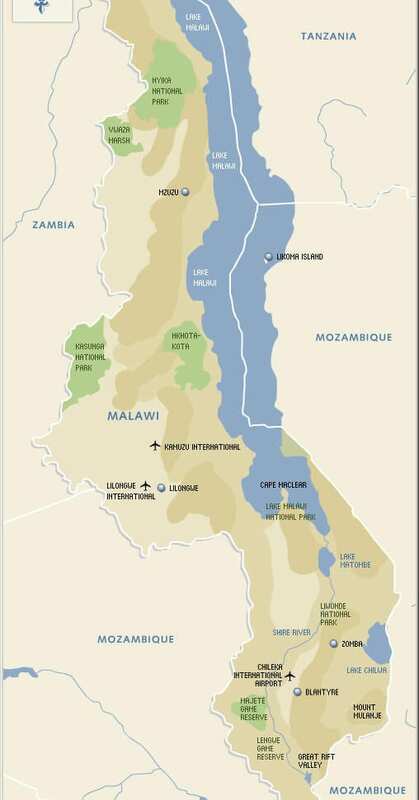 Have you been to a national park in Malawi, or got some useful information you’d like to share on the topic? Please feel free to get involved in the comments section below.